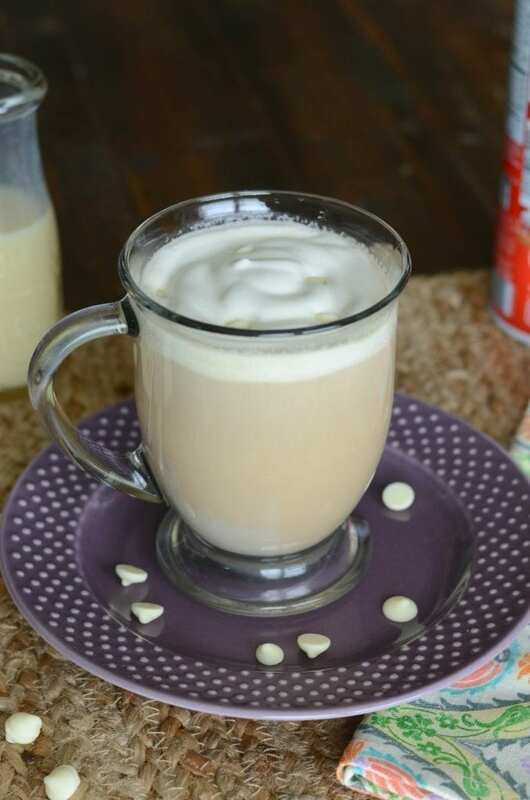 Following the keto diet and looking to recreate your favorite Starbucks drink at home? 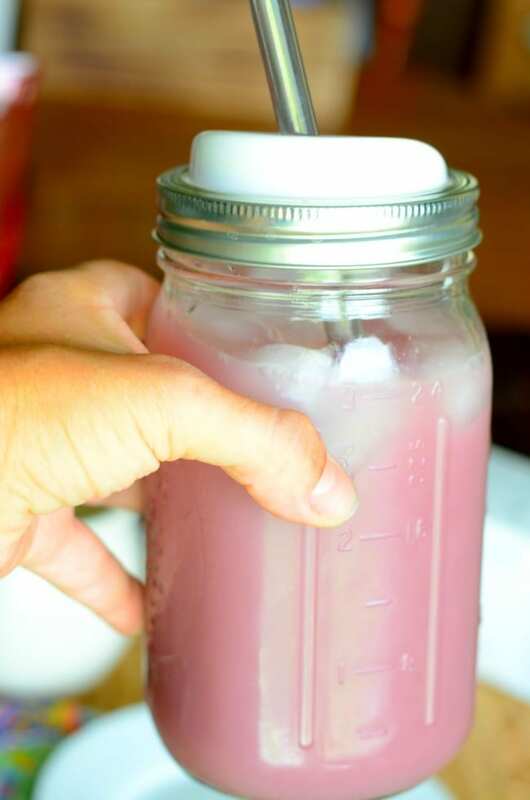 This Starbucks keto pink drink recipe is what you need! You know that I love me some Starbucks. I’m actually a lover of most coffee shops, but the ‘bucks will always be a personal favorite. But do you know what I love more than Starbucks? Besides my kids and family and dogs, of course. 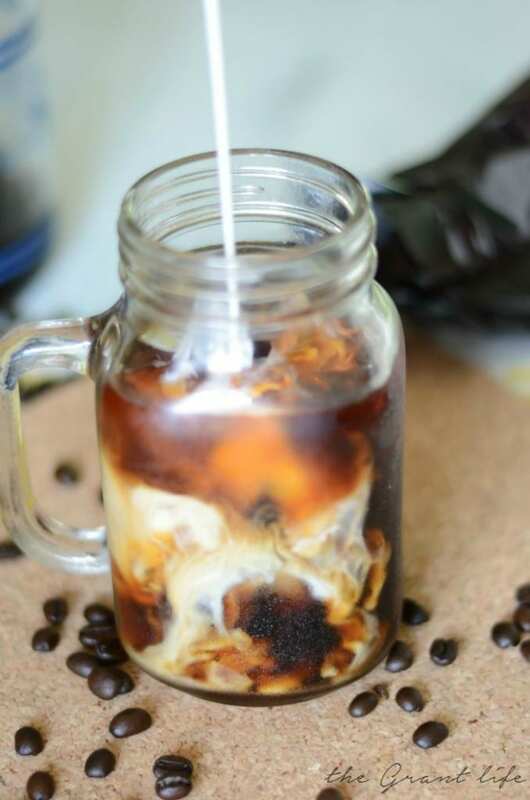 Making copycat coffee drinks at home. That’s what I love more. I love being able to recreate a popular drink for a fraction of the cost, at home, in my yoga pants. (Insert basic emoji here.) 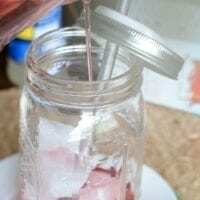 When the internet started going crazy for Starbucks keto pink drink, I knew I had to figure out how to make it at home. And it’s less than 4 net carbs. To start explaining this drink, let’s talk about the keto diet real quick. Like, basic keto information. on the keto diet you try to limit your carb intake by avoiding certain starchy foods and sugars. When you do this you put your body into what is called ketosis which in turn burns off stored fat. Sugar is a sneaky carb and is limited or avoided while on the diet. But don’t worry! You can still have your Starbucks while on the plan. 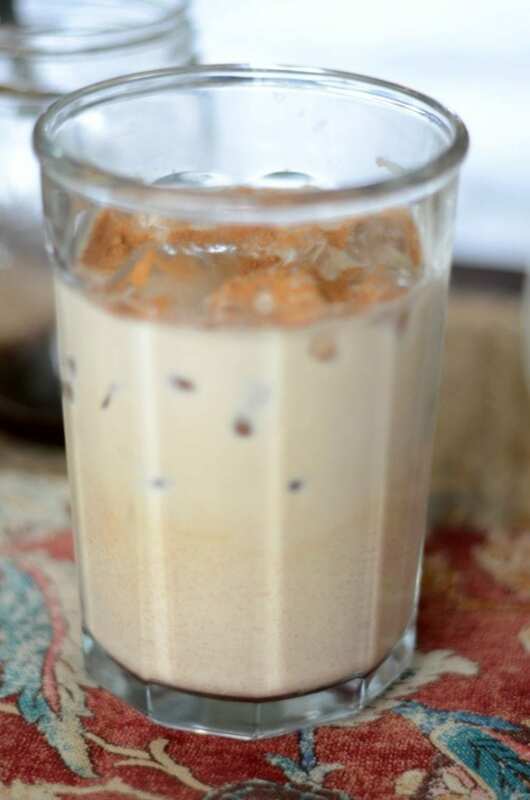 This copycat Starbucks keto drink is low carb, low sugar and totally delicious. In fact this keto Starbucks drink has less than 4 net carbs. 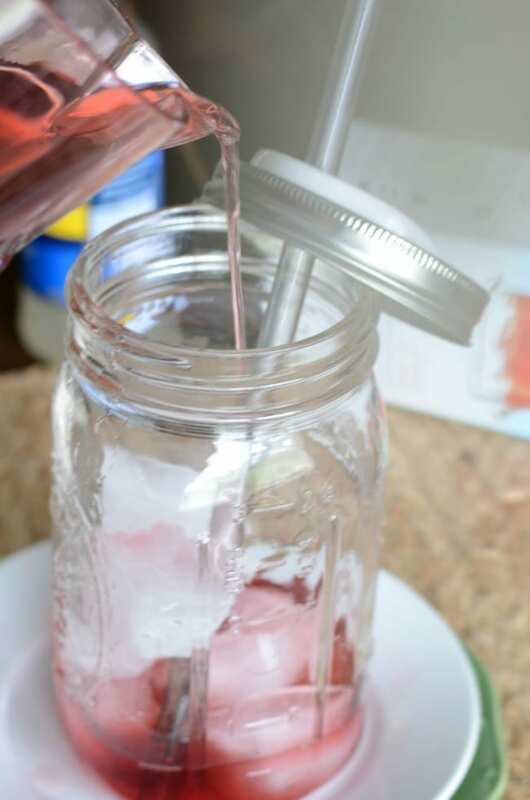 Tazo sells a passion tea that is perfect for this keto drink recipe and Starbucks even uses the Tazo brand in their stores. There is a regular herbal tea kind and an iced tea version. The iced tea version is perfect for making a big batch and the herbal tea bags are best for making a single serving. Grab whichever you prefer. They also sell a passion fruit Tazo tea in a K-cup for all you Keuring owners. In order for this drink to be keto you need to use a sweetener that is low in carbohydrates. Natural stevia and monk fruit are two great options that will sweeten the tea and keep the drink low in carbs. I enjoy the Lakanto monk fruit sweetener but use whatever you like. Next you will need a sugar free vanilla syrup for this recipe. I love love love the Torani syrups. They have a sugar free version of most of their syrups and they taste great. I recommend using Torani sugar free vanilla syrup or trying to a homemade sugar free vanilla. Last, grab some heavy whipping cream from the dairy section of your grocery store. There are two ways to make this copycat drink – a single serving or as a concentrate that makes multiple servings. You will need the same ingredients, the amounts and how you store it changes a bit. To start, you will need to brew your passion tea. While it is steeping or is still warm, mix in your sweetener. Stevia or monk fruit are suggested to keep this drink keto friendly. Stir to combine the sweetener in the warm tea. It should dissolve. Allow the tea to cool. If you are making a concentrate, store the passion tea in your fridge until you are ready to make a drink. If you are making a single serve keto pink drink you will add your sugar free vanilla syrup, heavy cream and ice. Stir to combine everything. There ya go. 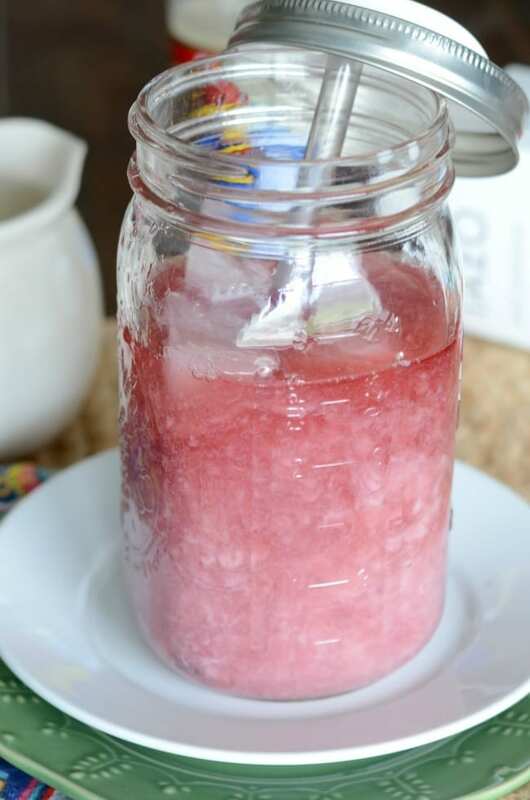 A super easy keto Starbucks pink drink recipe that you can make at home. Once you see how easy it is to make at home, you may never order one at the store again. 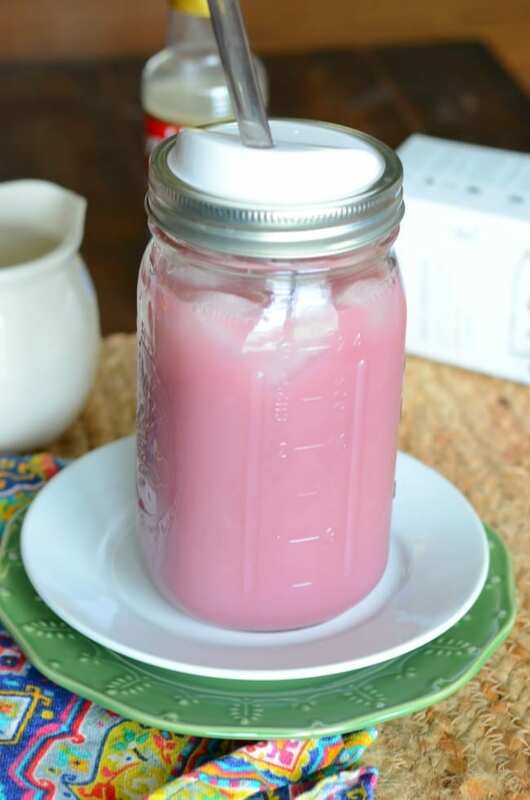 Copycat Starbucks keto pink drink at home. Pour the boiling water over the tea bag and steep for 3-5 minutes. Mix in the stevia or monk fruit until dissolved. Allow to cool. Pour tea over ice, stir in sugar free vanilla syrup and heavy whipping cream. Enjoy! Pour boiling water over ice tea bag and allow to steep for 3-5 minutes. Mix in the stevia or monk fruit until dissolved. Pour in additional ice water. Store in fridge until ready to use. Nutrition information is for a single serving. Hey y'all! I'm Kelley. I'm a recipe making, picture taking, coffee drinking momma to 3 crazy kiddos. Join me as I share our family favorite dinners and my copycat coffee drinks too! Free e-book + email updates! Success! I'm excited to have you! Now check your email to confirm your subscription and snag your freebie! *This post may contain affiliate links.